One of the advantages of having a retirement plan is that you start to understand where your sources of income will be upon retirement, and how much. 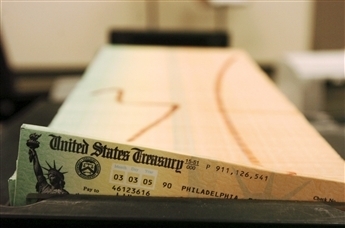 Unfortunately, there is a perception by many Americans that Social Security will be a bedrock of their retirement, when in fact it is just a complement, and usually a small one at that. According to the Congressional Budget Office, someone retiring at 65 today will receive 43% of his/her annual income from Social Security. Where does the rest come from? Your investments and savings, additional job, or significantly reduced standard of living. Which would you rather have? Call me if you need help determining a retirement strategy.